Litton Brothers serving Dayton and surrounding area HVAC needs for more than 25 years! And yet ANOTHER quality job by Litton Brothers! When it comes to the best contractors in Dayton for air conditioning & heating, Litton Brothers is always at the top of the list! 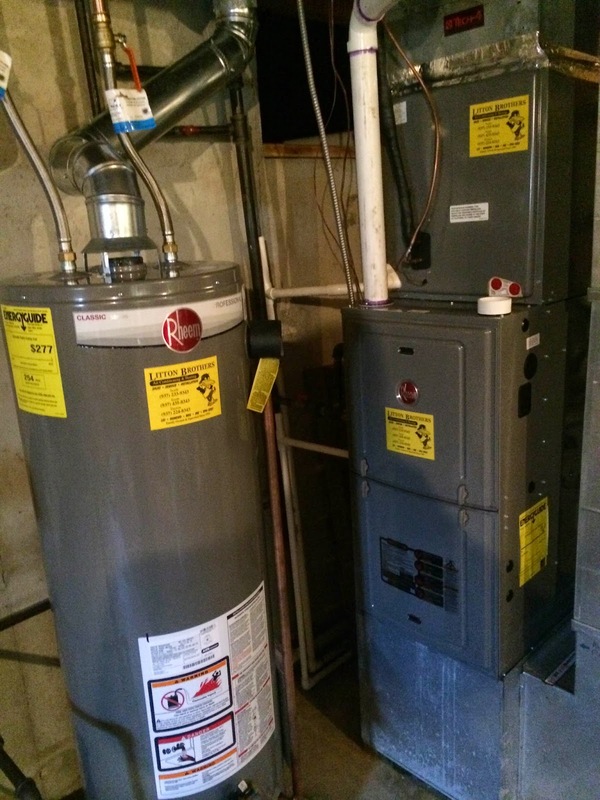 But did you know they are also tops at installing and repairing water heaters, as well? Let's face it, when it comes to the business of home comfort and reliability, Litton Brothers Air Conditioning & Heating has no equal! Litton Brothers has served the Dayton area for more than 24 years with incredible service (A-plus rating with the Better Business Bureau and ZERO complaints), affordable pricing and the best products on the market — Rheem! Litton Brothers accepts all major credit cards! For those in Huber Heights and areas north call 937-233-9343. For those in Dayton call 937-224-8343. And customers in Centerville, Kettering and areas south call 937-435-8343. You can also contact us by e-mail at kevin@littonbrothers.com, via twitter @Litton_Brothers or on Facebook. Litton Brothers Best in Dayton! Litton Brothers Air Conditioning & Heating has been serving the Dayton region since 1991. Owner Kevin Litton has been in the HVAC-R business for more than 25 years and has the experience and expertise to make sure Litton Brothers' customers not only get the best products in the market, but the best customer service, as well. Litton Brothers has the top rating in the Dayton area with the Better Business Bureau (BBB). Litton Brothers has ZERO complaints filed with the BBB. Copyright © 2014-15 Litton Brothers Air Conditioning & Heating. All rights reserved. Picture Window theme. Powered by Blogger.